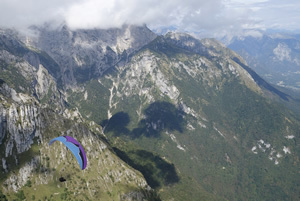 Come fly the most reliable and accessible XC areas in Austria & Italy with us. We've been based in the heart of the Alps since 1995. 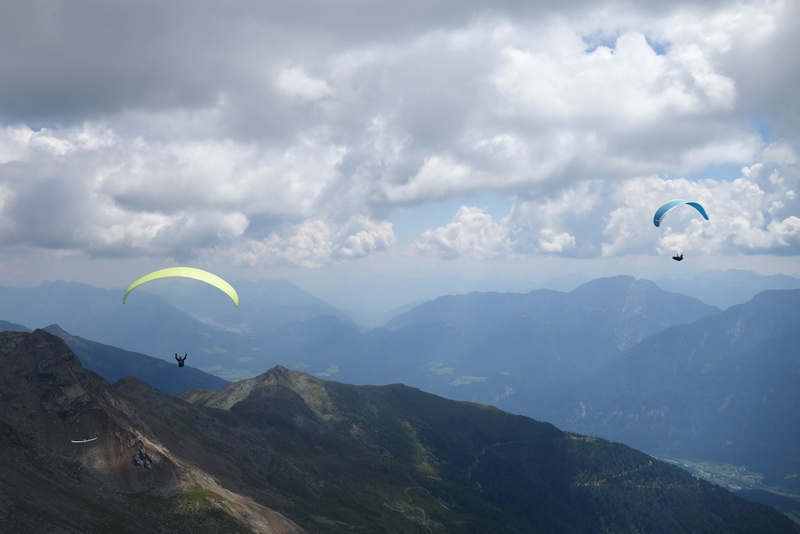 Offering Paragliding Courses & Holidays to pilots wishing to confidently plan then safely fly XC routes in the Alps. Also for pilots wishing to learn how to efficiently master thermalling as well as mapping techniques; the corner stones of any successful XC flight. So many thanks for stopping by our website, hopefully within it you'll find out why choosing us will enable you to fly longer, higher and further than you thought possible before. 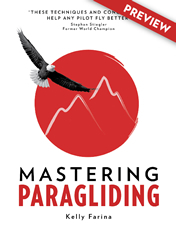 If you want to learn with a structured progression, like the subject matter that appears in our latest book, Mastering Paragliding, then think about joining one of our courses. Our courses are ideal for the hobby pilot looking for some help with their thermalling skills through to the seasoned XC pilot wishing to learn how to maximize the day or just want to blast long XC routes with like minded pilots. More importantly don’t waste your precious time away from your busy schedule. In either the main or pre Alps, come learn with pilots who really know. We are proudly approaching our 18th season coaching & guiding pilots safely in our back garden, the Alps. So you can be sure that you're flying the right place at the right time. Rest assured that no one has more experience helping pilots get the most out of their time in & around the Austrian or Italian Alps. Joining one of our courses will help pilots develop the skills needed to safely fly routes with confidence through the Alps. It's not just guess work or black magic when the experts fly huge routes in this complex system of valleys and mountains. Learn the theory, practice it safely, expand your goals... Way Beyond Guiding. If you dream to fly cross-country, first you'll need to learn to how to thermal. It is as simple as that! Thermalling technique is probably one of the hardest parts of the sport to truly master. 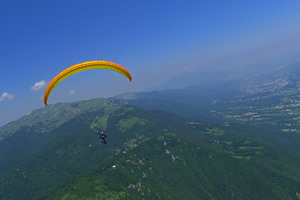 Thermal and XC lite courses are also aimed at pilots wishing to tighten up their technique, even shedding bad habits. Improve your thermalling technique with us with easy to understand techniques & concepts, plus simple radio instructions. Some of these ideas can be found in our book 'Mastering Paragliding.' This course will help you learn these techniques first hand. Our Summer long thermalling courses are run back to back with 'XC-lite' routes, of around 30km. A great way to practice the ideas and theory, after smoothly linking turns under our guidance we'll start to link thermals on short, rewarding and achievable XC routes. 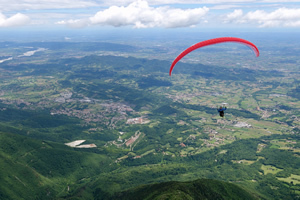 We offer our thermalling courses in the ultra-reliable Bassano del Grappa. A great way to improve your technique and have fun learning with other pilots. It's the very first step to becoming a competent XC pilot. Time to stop learning from '100hr experts.' Practice the concepts and progression will follow faster than you imagined. Stop wasting precious time in the beginning of your career. Learn to walk before trying to run. Find out why these courses have turned into our most popular weeks. Simply put: Pilots see the results themselves in a very short time. This season blast routes around one of the most reliable places to fly paragliders in Europe, Bassano del Grappa in the Italian Pre-Alps. This area is very friendly, a rewarding mix of Alpine and flat-land flying, with massive potential for long-haul XC circuits. Awesome, fun flying, great food and a hotel on the LZ. It doesn't get any better; it's a real flying holiday with more time spend under your wing instead of endless hours stuck in a van. This truly amazing place has an Ultra-protected micro-climate with the biggest hit rate of all our areas. Pilots go home with huge smiles on their faces. It is usually the last place to close out when bad weather arrives and first to come on. When other places lose days due to wind or rain we can still crack out surprisingly fun XC flights. Challenging routes in all directions normally involve fast-flowing lines and huge low-save potential. Our area here has grown with our knowledge. Fitting perfectly in between our 'Pure XC' weeks in Bassano and 'Alpine XC' weeks in Greifenburg is the new Feltre XC courses. 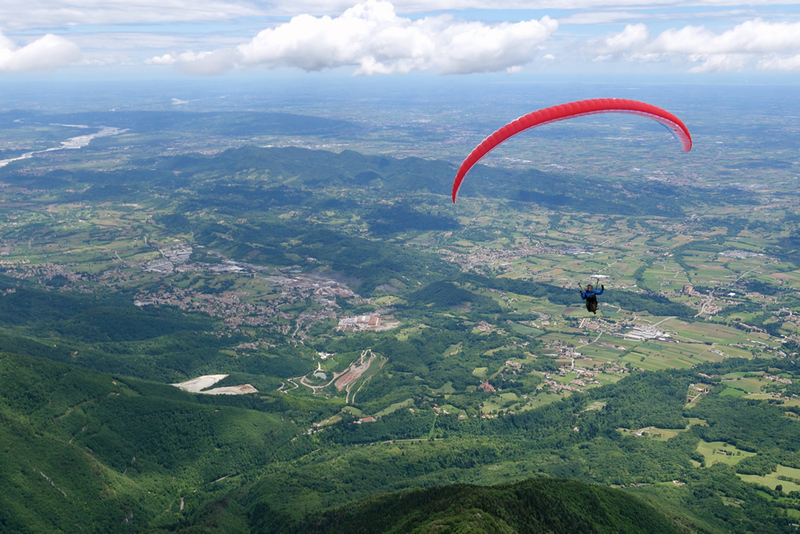 Fly long, stunning & straight forward XC routes around the Val di Feltrina. Even with the chance on exceptional days to venture north into the Dolomites. Having our eye on this fantastic area for some years now, with the extra energy bestowed uponus by our wonderful group of regulars it's finally happening. We recommend pilots wishing to fly here should have a good grasp of the basics of XC. This is possible by joining us on our 'Pure XC' courses in Bassano del Grappa. Join one of our dedicated 'Alpine XC' courses in Greifenburg, Austria. Finding itself on the South Side of the Alps it enjoys a better climate and more flyable days then it's Northern counterparts. Long unbroken ridges enable pilots to fly far with faster average speeds. 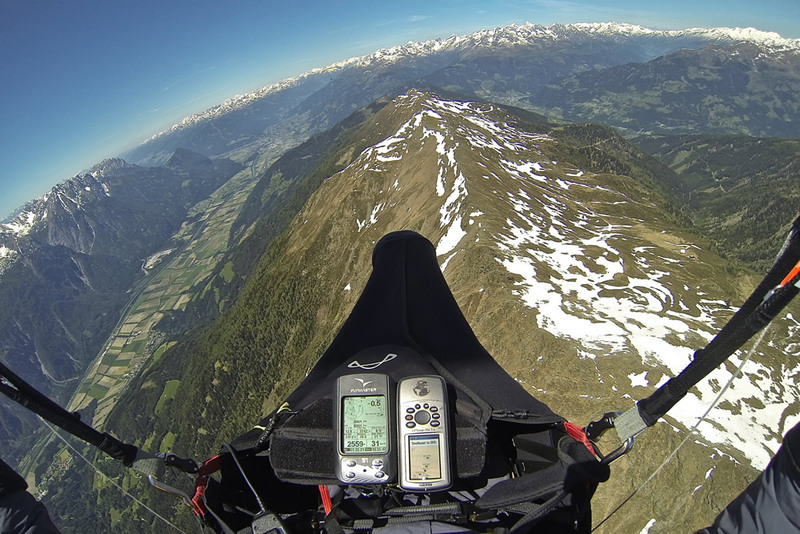 Short glides between thermals accompanied by mainly easy crossings add up to longer XC flights. The Austrian League fly this area more than any other in Austria due to both it's reliability and it's amazing XC potential. All Prices above are excluding Accommodation.